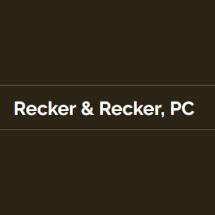 Recker & Recker, PC, is a local law firm that provides excellent criminal defense and family law representation in and around Weatherford, Oklahoma. Why do we use the word "local" to describe our law firm? We are not referring to the fact that our office is conveniently located around the corner or down the street. While this is certainly beneficial to our clients, we are talking about something a little different. Criminal defense lawyer Ryan D. Recker and family law attorney Shandelle Recker grew up in the area. They have passion and respect for those who live in their community. Ryan and Shandelle have also spent years resolving cases throughout the Custer County area. Over the years, they have not only learned the letter of the law but also how the local legal system operates. If you have been charged with a criminal offense or are dealing with a family matter, the law office of Recker & Recker, PC, is a place you can turn to for help. All initial consultations are free.